The International Air Transport Association (IATA) has recognized Entebbe Handling Services Limited, now NAS Uganda, as a Top Performing IATA Accredited Training School (ATS) in Africa and the Middle East for 2019. This recognition identifies the organization as a center of excellence for training by achieving impressive results, demonstrating professionalism in delivering IATA Training Programs and an ongoing commitment to the success of its students. The school trained 477 individuals in 2018 with a year over year growth of 24 students for DGR. Both of these successes won the school this recognition. The Training School offers a range of aviation industry training benefitting both NAS employees as well as external local and international aviation customers. 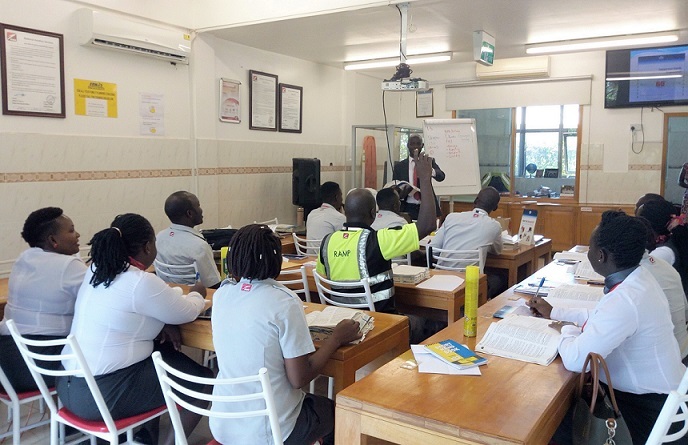 By training these individuals NAS helps bring international standards to the Ugandan aviation industry. 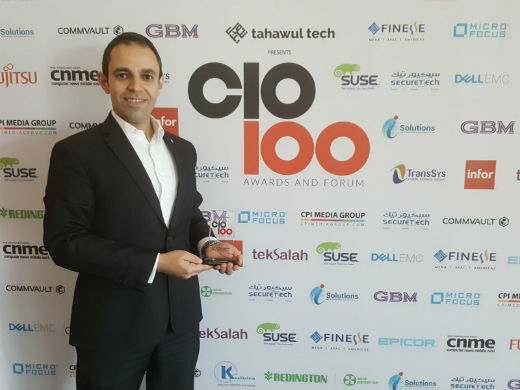 NAS was recognized as an innovator at the fifth annual CIO 100 Awards and Forum organized by CNME in Dubai, UAE. 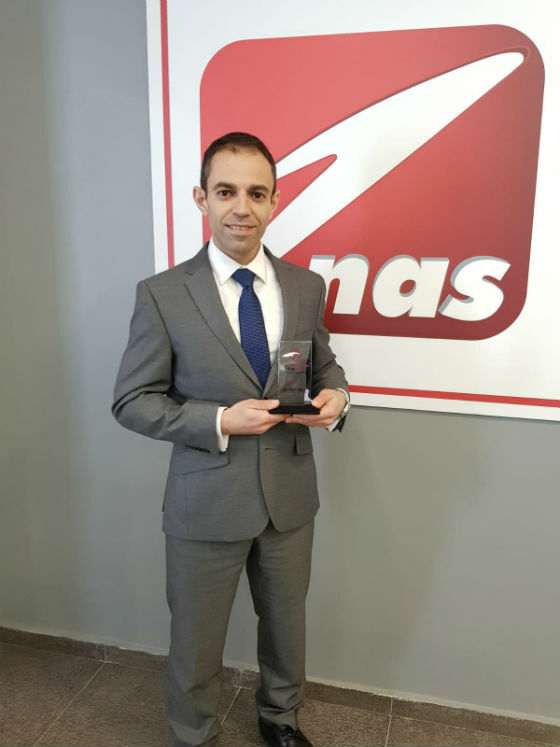 The annual award that recognized 100 companies and its teams was received by Rami Al-Haddad, Group Chief Information Officer of NAS on behalf of the company. The CIO 100 Awards are presented to companies that utilize IT in innovative ways to deliver business value whether by creating a competitive advantage, optimizing business processes, enabling growth or improving relationships with customers. NAS received the award for their effective use of data analytics and business intelligence software. 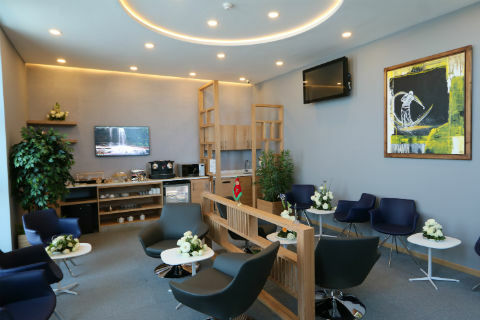 National Aviation Services (NAS), the fastest growing aviation services provider in the emerging markets recently opened three new Pearl Lounges at airports in Casablanca, Dakhla and Laayoun. This is part of a 10 year concession awarded to NAS by the Moroccan Airports Authority (ONDA) for the refurbishment and operations of 16 lounges across 9 airports in Morocco. The Pearl Lounge in Dakhla, located in departures has been completely refurbished, offering a relaxing space for both business and leisure travelers. Operational since February 1, the lounge includes comfortable seating, a variety of snack options, WiFi access and entertainment facilities. The Pearl Lounge in Laayoune, also located in departures was refurbished to international standards allowing passengers to have a comfortable area to relax before their flight. During 2018, NAS Dar Airco handled 7,000 flights, 467,000 bags, 700 tonnes of cargo and 515,000 passengers with on-time performance (OTP) of 98.9% as it continues to deliver on its commitment to the Tanzanian airport authorities in its three locations namely Dar es Salaam, Kilimanjaro and Dodoma. According to the International Air Transport Association (IATA), Africa is set to become one of the fastest growing aviation regions in the next 20 years with an annual expansion of nearly 5%. 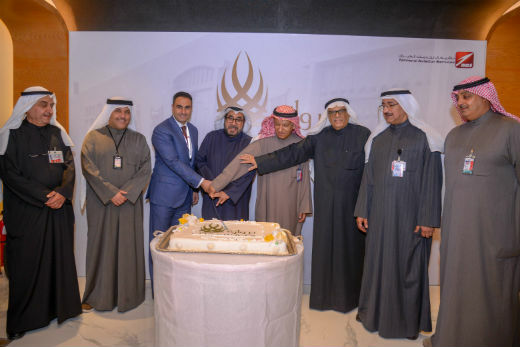 National Aviation Services (NAS), the fastest growing aviation services provider in emerging markets, today unveiled its renewed, premium “Derwaza” Lounge at the Kuwait International Airport (T1). People are core to the NAS business across its network in the Middle East, Africa and Asia. With more than 8,000 employees and a rapidly growing footprint, talent management is extremely important. NAS recently partnered with Thomas International, leading global provider of people assessment tools which work together to give a full insight into what makes people successful. 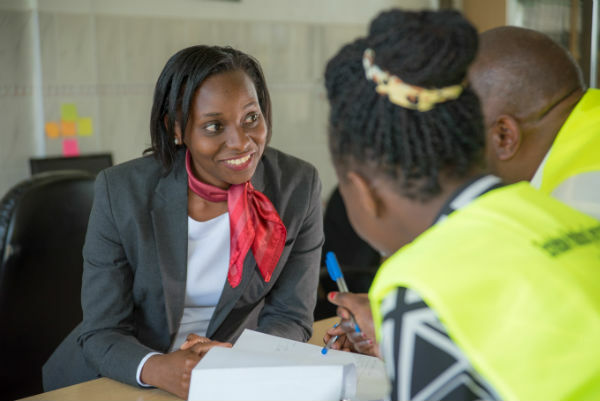 They also offer a range of training workshops and courses complement these tools to help nurture people and empower a high-performance culture. NAS has adopted the Thomas assessment tools and training to eliminate subjectivity and ensure that the right talent is attracted, developed and retained per their caliber. The hiring and selection tool coupled with staff development and promotion system ensure that all NAS employees are treated to the best career opportunities while helping the company retain and hone skilled and capable talent. The Moroccan Airports Authority (ONDA) partnered with National Aviation Services (NAS), the fastest growing aviation services provider in the emerging markets to launch the first electronic gates (E-gates) at the Pearl Lounge in the Marrakech Menara Airport departures area. 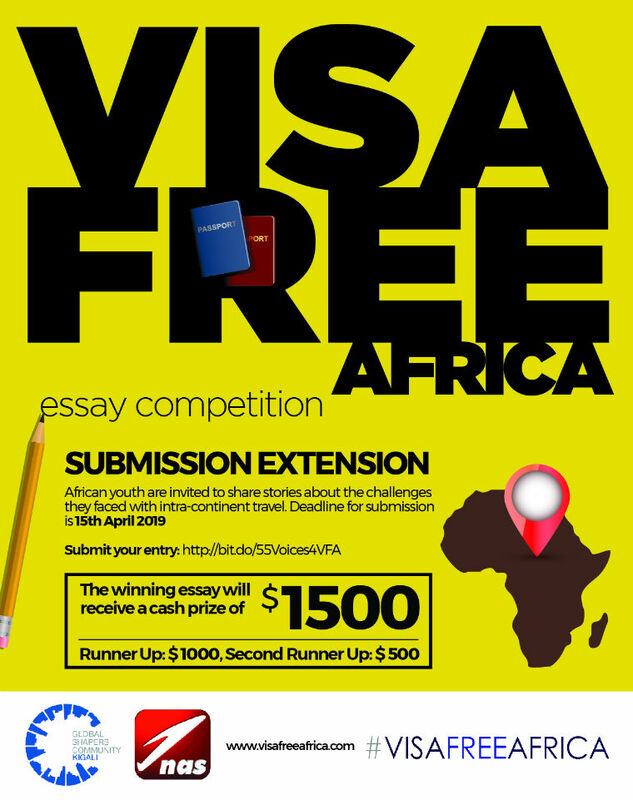 This is the first of its kind solution across Africa. NAS-RwandAir Ltd (NASRwandAir) has said that it has completed construction and development of two new airport lounges, which it plans to officially unveil in the next few days. Africans make up 12% of the world’s population but only 2.5% of the world’s passengers. Why the gap? National Aviation Services (NAS) Human Resources was awarded the ISO 30405:2016 certification for attracting, sourcing, assessing, and recruiting talent. This includes development of a recruitment policy, the process flow from sourcing of potential applicants to on-boarding of new recruits, as well as evaluation and measurement of new recruits to ensure that the right candidates are hired. NAS truly believes that people are the core of its business and currently employs over 8,000 individuals of 61 nationalities across its network in 17 countries in the Middle East, Asia and Africa. The National Aviation Services (NAS) Training department received the ISO 10015:1999 certification for development, implementation, maintenance, and improvement of training strategies and systems. This certification adds to a long list of recognitions awarded to NAS for operating according to international standards including the IATA Safety Audit for Ground Operations (ISAGO). The VIP Terminal recently unveiled an expanded collection of BMW vehicles from Abu Dhabi Motors, as part of its luxury offering. Abu Dhabi Motors, the top selling BMW Group importer in the Middle East, celebrates the ongoing success of its longstanding, exclusive partnership with Abu Dhabi Airport by adding 12 new BMW 7 series vehicles to the existing luxury fleet at the VIP Terminal. The VIP Terminal, operated by Pearl Assist, also includes a Rolls-Royce Phantom in its current fleet of luxury vehicles. National Aviation Services (NAS) Kuwait held a graduation ceremony to honor LOYAC interns that took part in their Summer Internship Program 2018, organized by the NAS Kuwait Human Resources team. Around 50 LOYAC interns participated in the month long program, carrying out duties at the Kuwait International Airport and Sheikh Saad Terminal. They worked in passenger services, cargo management, ramp services, security, Pearl Assist meet and assist services; and lounge management during the peak travel season to get a better understanding about careers in the aviation industry. During the ceremony, the interns were given a chance to share their experience of working at NAS and give their feedback to NAS senior management that attended the event. The Global Logistics Services Inc. (GLS) and National Aviation Services (NAS) joint venture company, GLS – NAS, has successfully completed its first financial year in Liberia reporting a progressive increase on cargo capacity at Roberts International Airport warehouse in Monrovia, Liberia. This is part of a 25-year air cargo operations concession awarded by the Government of Liberia that includes the design, finance, build, maintenance, operation and transfer (DFBMOT) of a new, modern cargo facility at RIA. The new facility, covering 2,700 sqm, is scheduled for completion in 2019 with a view of improving RIA’s air cargo operations to meet international standards and support export supply chain capacity in the country. 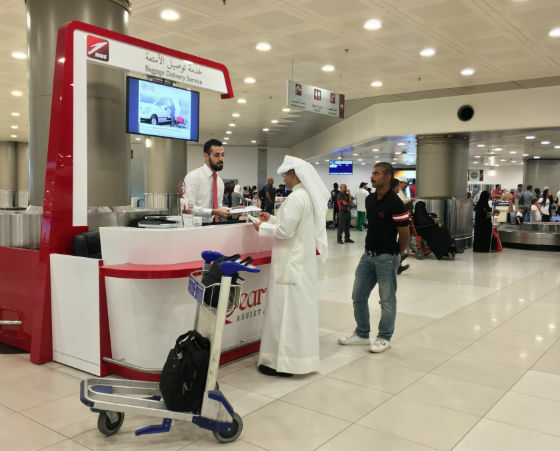 National Aviation Services (NAS) has introduced the Pearl Assist Baggage Delivery Service at Kuwait International Airport. This service allows passengers arriving at the airport to have their luggage delivered to their doorstep allowing them to exit the airport faster without waiting for the checked in baggage. The Pearl Assist Baggage Delivery Service is open to all passengers flying any airline arriving at the Kuwait International Airport and the luggage can be delivered to any area in Kuwait. Passengers can avail of this new service by pre-booking online via www.fasttrack.aero or at the Pearl Assist Baggage Delivery Service counter located in the arrivals area at the Airport. National Aviation Services (NAS) partnered with LOYAC, a nonprofit organization working towards the overall development of the youth in Kuwait, for an internship program organized by the NAS Human Resources team at the Kuwait International and Sheikh Saad Terminal during the summer months. 58 students from LOYAC studying in local schools and colleges will take up different roles in passenger services, meet and assist, lounges, ground handling, cargo and government projects for a period of one month. Through this internship program the students will receive on the job skills and training while gaining a hands on experience in aviation. National Aviation Services (NAS), the fastest growing aviation services provider in emerging markets, inaugurated its Pearl Hall at the Cairo International Airport recently. The inaugural was held in the presence of Mohamed Galal, NAS Group Chief Financial Officer (CFO) and Ahab Abd Elaziz, General Manager, NAS Egypt, key airport officials, dignitaries and media. The new Pearl Hall, located at Terminal 2 in Departures, covers an area of 540 square meters and offers the ultimate in comfort and luxury to all passengers. This includes complimentary Wi-Fi, tablets, charging power points, food, beverages, comfortable seating and a kids entertainment area to relax and unwind or catch up on work. NAS has been operating in Egypt since 2013. NAS also provides Meet and Assist services that allow passengers to maneuver airport queues faster and helps get them to their flights or destinations quicker. 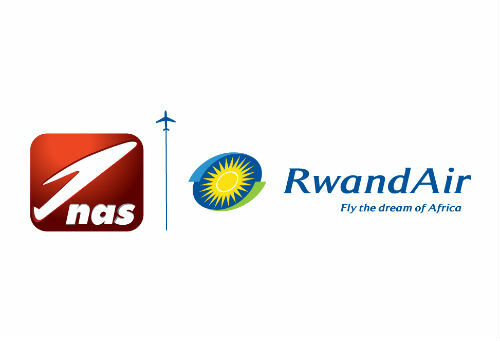 National Aviation Services (NAS), the fastest growing aviation services provider in the emerging markets, announced a joint venture agreement with Rwanda’s national flag carrier, RwandAir. The JV titled NAS RwandAir Limited, will be the exclusive lounge management company at Kigali International Airport (KIA). 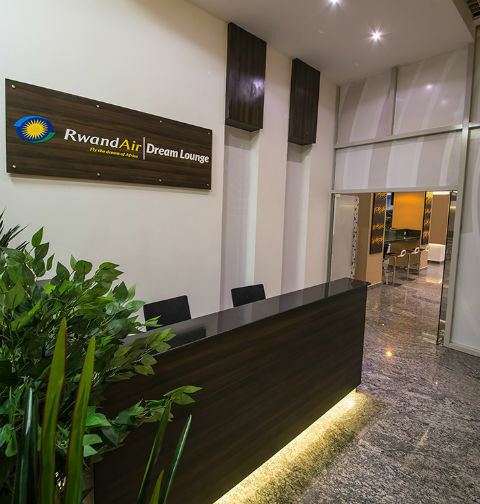 NASRwandAir is tasked with the construction and development of two new lounges at KIA, the RwandAir Dream Lounge dedicated to the airline’s premium passengers and an arrivals lounge. The JV will also take over management of the existing NAS Pearl Lounge in the departures area which caters to other airline passengers as well. 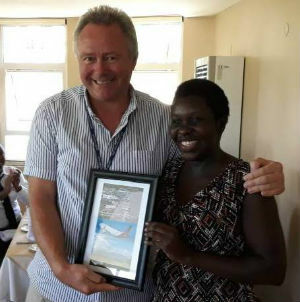 National Aviation Services (NAS) was recognized for on-time performance by two customer airlines for its operations in Uganda. Both international airlines, Brussels Airlines and KLM, awarded NAS Uganda’s operations in Entebbe for exceptional punctuality at the Entebbe International Airport. NAS Uganda, previously Entebbe Handling Services (ENHAS), handles 15 scheduled airlines and an average of 25 flights a day. The operations are serviced by 810 employees. Present in more than 30 airports across the Middle East, Asia and Africa, NAS provides ground handling services to seven of world’s top ten airlines and has an average OTP of 98 percent across its operations. Employees are the core of our business and no matter how much time they spend with NAS, they always leave behind their stamp of hard work and dedication to the company. NAS Ivoire bid adieu to 15 retiring employees in Abidjan with a special ceremony attended by the State Inspector General from the President’s office, a representative from the Ministry of Employment and Social Security, as well as a representative from the Ministry of Transport. The ceremony honored these employees for their loyalty, endurance and contribution to the success of the company. Each employee received a medal and a monetary reward to thank them for their contributions. The longest serving employee, Alla N’Guessen Nogu from the Finance team has worked with the company for 39 years. Another retiree, Diaw Papa Talam was awarded Employee of the Month just a few months before he came up for retirement. 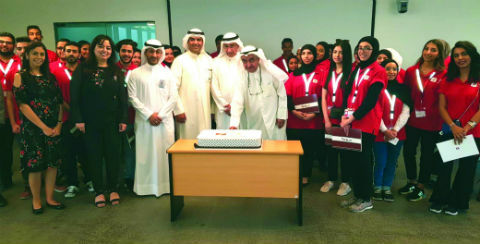 National Aviation Services (NAS) partnered with INJAZ, a not for profit organization that connects young people to the business leaders of today through mentoring and hands-on training, to conduct a job shadow program at the Kuwait International Airport. The job shadow program comprising of 12 students from Bibi Salem Al-Sabah School, was aimed at giving the students a better understanding of passenger handling and lounge management at the airport. The group walked through the airport to experience the NAS managed check in counters and official passport control procedures before visiting the Pearl and Derwaza lounges operated by NAS. 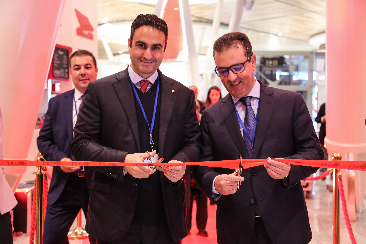 National Aviation Services (NAS), the fastest growing aviation services provider in the emerging markets, announced the official opening of their new Pearl Lounge at the Rabat–Salé International Airport in Morocco. This follows the opening of NAS Pearl lounges at the Marrakech and Casablanca airports last December. The exquisite Pearl lounge in Rabat covers 350 square meters, combining luxury and serenity to offer maximum comfort for all passengers. Passengers can choose to utilize their waiting time to rest, work or avail of quality entertainment. Specially equipped work spaces, free Wi-Fi access, newspapers and satellite television channels alongside a delectable selection of hot and cold snacks facilitate both work and pleasure. The lounge also offers shower facilities and a smoking area for maximized comfort. Kabul, Afghanistan, 12 April 2018 - National Aviation Services (NAS) has renewed its International Air Transport Association (IATA) certification for de-icing and anti-icing services for airlines at the Kabul airport in Afghanistan. The certification is now renewed till 2020. With winter weather reaching sub-zero temperatures, snow and ice settles on the wings, horizontal and vertical stabilizers of the aircraft. This adds extra weight on the aircraft and disrupts air flow that reduces lift. 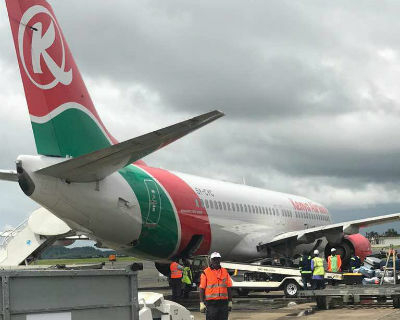 It can also disrupt the movement of the wings' flaps and ailerons, which could lead to critical incidents or even could lead to crash the flights. 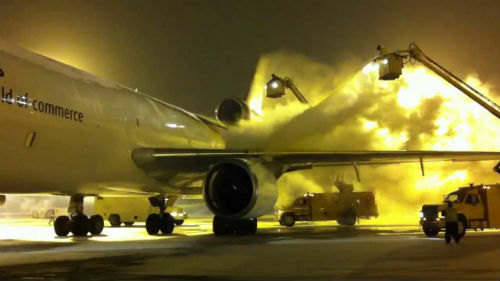 This makes de-icing extremely important before take-off. 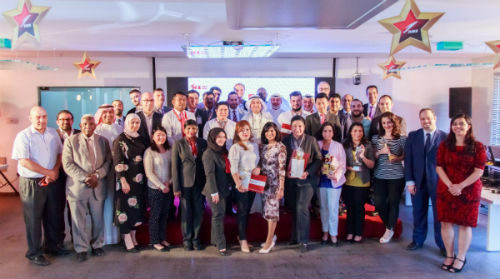 National Aviation Services (NAS) was recognized as an innovator during the fourth annual CIO 100 Awards and Forum organized by CNME in Dubai, UAE. 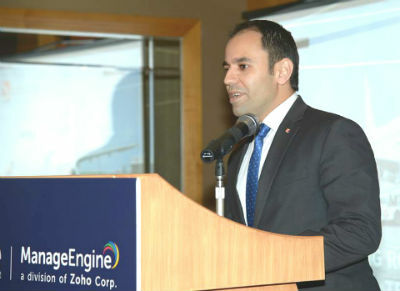 Rami Al-Haddad, IT Director for NAS Group accepted the award on behalf of NAS. The annual CIO 100 Awards recognize 100 organizations and individuals within them, for using IT in innovative ways to deliver business value, by creating competitive advantage, optimizing business processes, enabling growth or improving relationships with customers. NAS received the award for the development of its proprietary Lost Luggage Delivery Management System (LLDMS) which improved customer experience, and increased delivery by 200 percent. First National Bank Mozambique (FNB) and National Aviation Services (NAS), the fastest growing aviation services provider in the emerging markets, recently inaugurated an exclusive, contemporary lounge at the International terminal of the Maputo International Airport. 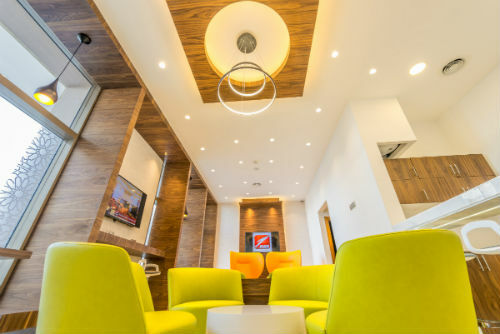 The FNB Lounge by Pearl Assist offers a modern, luxurious space providing guest with a comfortable environment to relax and unwind, have a meal or catch up on work before departing on their onward journey. The FNB Lounge by Pearl Assist, was officially inaugurated by João Martins de Abreu, Chief Executive Officer, Institute for Civil Aviation of Mozambique, Emanuel Chavez, CEO Aeroportos de Moçambique (ADM), Paulo Pereira, Deputy CEO for FNB Mozambique and David Henderson, Group Chief Commercial Officer, NAS. 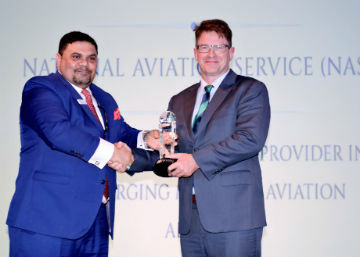 Dubai, UAE, 4 February 2018: National Aviation Services (NAS) was recently recognized as the “Fastest Growing Aviation Services Provider in the Emerging Markets – Africa” at the International Financial Magazine Awards held in Dubai, UAE. David Henderson, Group Chief Commercial Officer, accepted the award on behalf of NAS. The IFM Awards honor achievers in the world of Business and Finance with the in recognition of their contribution to raising the bar in their sector and industry. NAS was recognized for its quick growth and increasing geographic footprint in the emerging markets. From its base in Kuwait, the company operates in 17 countries, including Cote d’Ivoire, Morocco, Liberia, Rwanda, UAE, Afghanistan and India, and a total of 30 airports while continuing to expand year on year. Marrakech, Morocco, 12th December, 2017: National Aviation Services (NAS), the fastest growing airport services provider in the emerging markets, today announced the launch of its Pearl Lounges at the Marrakech-Menara Airport in Morocco reinforcing capacities at the newly renovated airport. The two exquisite Pearl lounges in arrivals and departures, covering 800 square meters, combine luxury and serenity to offer maximum comfort for all passengers. National Aviation Services (NAS), the fastest growing aviation services provider in the emerging markets, has renewed its IATA Safety Audit for Ground Operations (ISAGO) certification in Kabul. 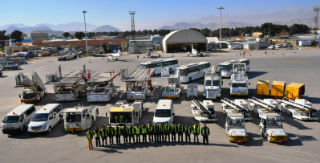 NAS Afghanistan passed the ISAGO audit with a perfect score for the second time in two years, once again demonstrating the company’s commitment to safety and security in all its operations. ISAGO is an internationally-recognized system for assessing the operational management and control systems for ground handling service providers. It is based on industry-proven quality audit principles and follows a stringent and structured process that reviews training, policies, procedures, etc. 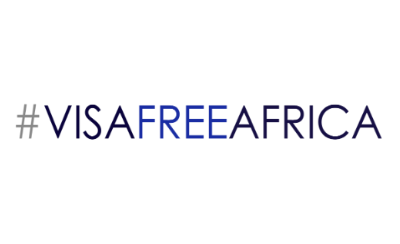 The Kigali Global Shapers has partnered with National Aviation Services (NAS), the fastest growing aviation services provider in the emerging markets, for an exclusive sponsor of #VisaFreeAfrica (VFA), a global campaign to facilitate mobility in Africa. For the past 30 years, the African Union has attempted to address free movement on the continent. The “Agenda 2063” plan to introduce a common African passport by 2020 is in motion but African citizens still need visas to travel to 42 out of 54 African countries. 1. 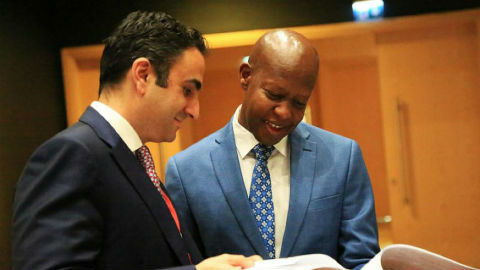 All 54 African countries to grant a 30-day visa on arrival to all African citizens by 2022. 2. Achieve free movement of people across all African countries by 2030. 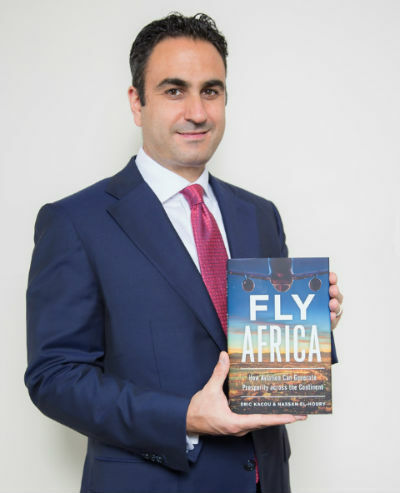 FLY AFRICA, a book authored by Hassan El-Houry, a pioneer in the African aviation in¬dustry and Eric Kacou, an African strategist and investor, was launched yesterday on Amazon. 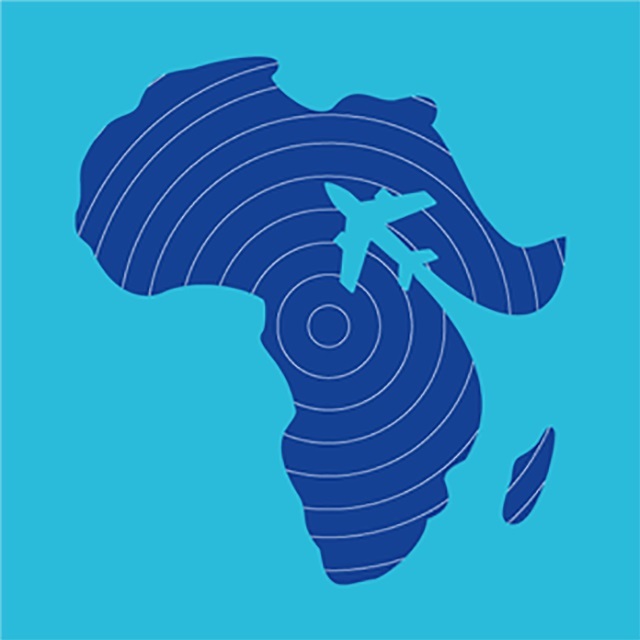 Aviation can provide a lifeline to re¬vitalize national economies throughout Africa and contribute to development. 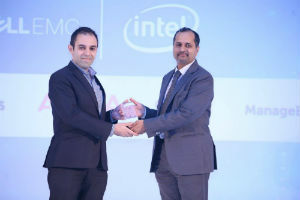 National Aviation Services (NAS), the fastest growing aviation services provider in the emerging markets was recognized as the winner of the prestigious ‘Aviation Deployment of the Year’ Award at Computer News Middle East’s (CNME) ICT Achievement Awards 2017. CNME's ICT Achievement Awards recognize individuals and organizations that have delivered ground-breaking business value through the innovative application of technology. The eighth annual ICT Achievement Awards was dedicated to honouring participants in several categories; including Technology Deployment, Innovation, and Strategy. Nominated parties included prominent enterprises from various sectors including airlines, banks, universities, hospitals, and telecommunication companies. Abu Dhabi Airports’ VIP Terminal, operated by National Aviation Services (NAS), the fastest growing aviation services provider in the emerging markets recently took delivery of five new BMW M760Li individual vehicles from Abu Dhabi Motors. This has doubled the current fleet of luxury vehicles at the VIP Terminal in Abu Dhabi International Airport to ten luxury BMW’s in addition to a Rolls-Royce Phantom. 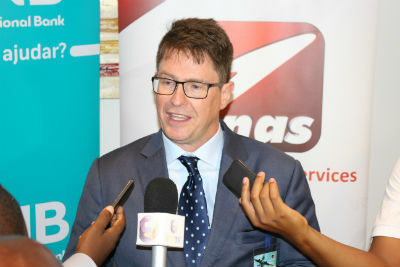 The Global Logistics Services Inc. (GLS) and National Aviation Services (NAS) joint venture company formed earlier this year, GLS – NAS, kicked off operations at the Roberts International Airport (RIA) in Monrovia handling six flights and more than 15 metric tons of cargo on the first day. The joint venture was formed to manage a 25-year air cargo operations concession awarded to GLS by the Government of Liberia. The concession includes the design, finance, build, maintenance, operation and transfer (DFBMOT) of a new, modern cargo facility at RIA. The new facility, covering 2,700 sqm, is scheduled for completion in 2019 with a view of improving RIA’s air cargo operations to meet international standards and support export supply chain capacity in the country. 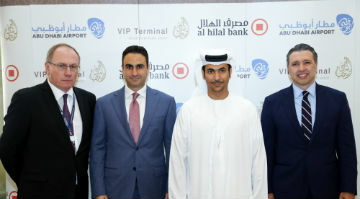 Abu Dhabi Airports’ VIP Terminal, operated by National Aviation Services (NAS), the fastest growing aviation services provider in the emerging markets, signed a partnership agreement with Al Hilal Bank in Abu Dhabi, a progressive Islamic bank, to provide exclusive VIP Terminal access at Abu Dhabi International Airport to top-ranking customers. 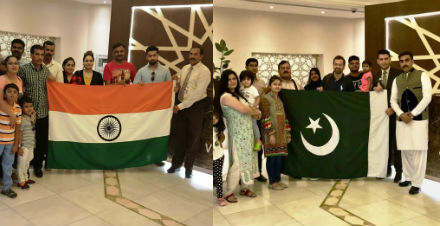 In celebration of the Pakistani Independence Day on August 14 and the Indian Independence Day on August 15, 25 lucky passengers received vouchers for free access to the Diamond Lounge at the VIP Terminal operated by NAS. These lucky passengers experienced all the NAS services at the Abu Dhabi VIP Terminal while departing. This included entry to the VIP Terminal through a private road gate, breezing through all the check in formalities, security screening and immigration and finally a private ride to their respective departure terminals in our special Mercedes Benz Viano. The Diamond Lounge access included a buffet meal, entertainment facilities, restrooms with showers, a kids playroom, a prayer room and a separate smoking area. 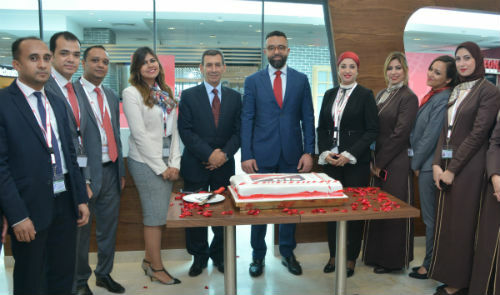 National Aviation Services (NAS), the fastest growing aviation services provider in emerging markets, inaugurated two new Pearl lounges at the Marsa Alam International Airport recently. 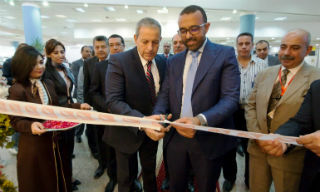 General Tarek Zada, Marsa Alam Airport Manager and Mohamed Galal, NAS Group Chief Financial Officer (CFO), cut the inaugural ribbon. The newly inaugurated Pearl Lounges at the Marsa Alam International Airport will offer passengers complimentary Wi-Fi, tablets, charging power points, food and beverages and comfortable seating. 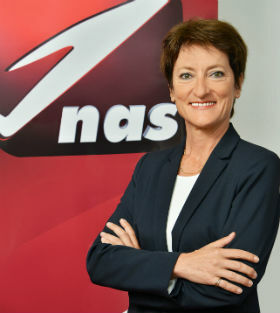 National Aviation Services (NAS), the fastest growing aviation services provider in the emerging markets, has appointed Agnes Laurent as General Manager of NAS Morocco. With 29 years of experience in Morocco and France, Agnes is a seasoned aviation professional. She joins NAS from Air France where her most recent role was Regional Station Manager for North Africa and Sahel, based in Casablanca, Morocco, where she managed ten stations in seven countries. Previously, Agnes has worked for the La Premier Airport Lounge at the Charles de Gaulle airport in Paris where she launched and managed the VIP lounge. Global Logistics Services Inc. (GLS) has partnered with National Aviation Services (NAS), the fastest aviation services provider in the emerging markets to form a joint venture company, GLS – NAS JV. 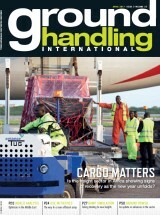 The GLS – NAS JV will manage a 25-year air cargo operations concession awarded to GLS by the Government of Liberia. NAS will contribute international cargo handling expertise to the JV and GLS will maintain local logistics and support. 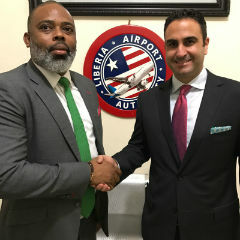 The JV will support human and operating capacity development in the aviation service sector to boost Liberia’s air cargo supply chain capabilities. 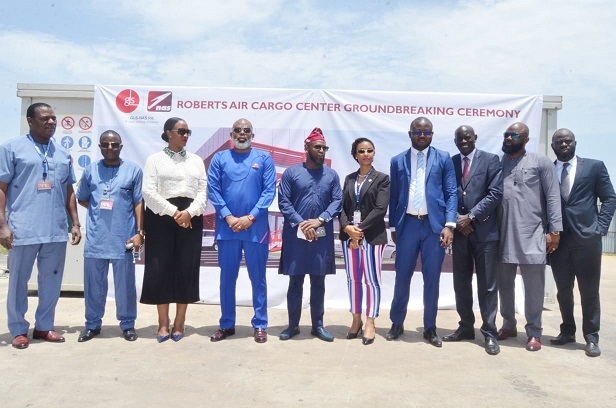 Under the terms of the agreement, GLS - NAS will design, finance, build, maintain, operate and transfer (DFBMOT) a new, modern cargo facility at the Roberts International Airport (RIA) in Monrovia. This new facility will improve RIA’s air cargo operations to meet international standards and support export supply chain capacity in the country. First National Bank (FNB), one of South Africa’s big four, has partnered with National Aviation Services (NAS) to operate a new departure lounge at the Maputo International Airport for the next five years. The agreement also includes an additional five year renewal option. In 2016, FNB won a bid to manage this new lounge that will cater to its Platinum card customers as well as other airline and corporate clients. The 250 square meter lounge located in departures can host 80 passengers and is equipped with a comfortable dining area, fully equipped business center, smoking room and a children’s play area. Aviation is key to facilitating trade, yet only 1 per cent of flights take-off or arrive in Africa. Twelve percent of the world’s population resides in Africa and yet only 1 per cent of the world’s flights take off or arrive on the continent. 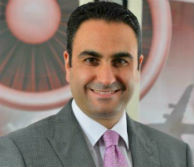 Hassan El-Houry, Group CEO, NAS speaks to Africa.com to discuss opportunities for aviation development in Africa. Cote d’Ivoire, 3 April 2017 – National Aviation Services (NAS), the fastest growing aviation services provider in the emerging markets, has been awarded the IATA Safety Audit for Ground Operations (ISAGO) certification for its Abidjan operations. 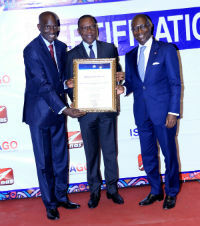 The NAS Abidjan ISAGO certification highlights the company’s ongoing commitment to safety and security across its network. This is the most recent certification received by the company from IATA. In 2008, NAS was among the first ground handling providers in the world to receive an ISAGO certification for its Kuwait operation. Since then this certification has been renewed five times. Hassan El Houry, NAS Group CEO, discusses the company’s investments in Morocco during an interview with local French channel TV 2M. Africa accounts for only 3 per cent of global air traffic but has exponential growth potential. 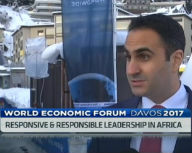 Hassan El-Houry, Group CEO, NAS, spoke to CNBC Africa at WEF Davos for insights into this and more. Kuwait, 15 January 2017 - National Aviation Services (NAS), the fastest growing aviation services provider in the emerging markets, has commenced the refurbishing and development of 16 departure and arrival lounges at nine Moroccan airports. These include Casablanca, Marrakech, Rabat, Agadir, Tangier, Oujda, Fez, Dakhla and Laayoune. 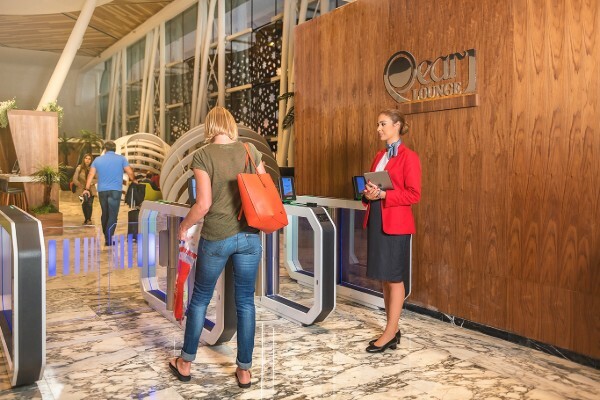 Part of a ten year concession awarded by the Moroccan Airports Authority (ONDA), NAS will also operate these lounges and provide “Pearl Assist”, meet and assist services for arrivals and departures. With Morocco, NAS has now expanded its “Pearl Lounge” network to over 30 lounges in more than ten countries. Kuwait, 10 November 2016 - National Aviation Services (NAS), the fastest growing ground handling company in the emerging markets has reached a new milestone in its expansion with the award to redevelop and operate sixteen lounges in nine Moroccan airports. As part of a ten year concession awarded by Office National Des Aeroports (ONDA) NAS will provide meet and assist services as well as both arrival and departure lounges at the main airports in Morocco. With the new contract, NAS has now expanded its lounge network to thirty lounges in six countries. Under the ten year contract, NAS will provide services in Casablanca, Marrakech, Rabat, Agadir, Tangier, Oujda, Fez, Dakhla and Laayoune. NAS was awarded the contract based on their proven track record and the solutions proposed to redevelop the existing lounge facilities and deliver internationally recoqnized service levels and facilties. 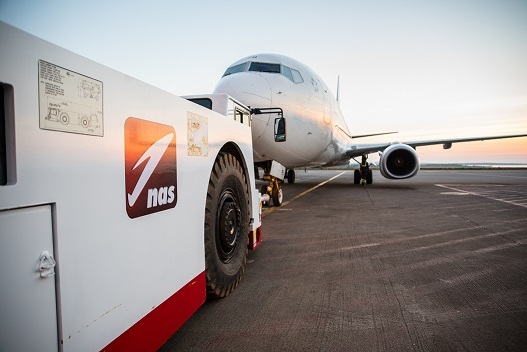 National Aviation Services (NAS) celebrated the first anniversary of launching its comprehensive range of award winning ground handling services in Abidjan on the 27th of September. A gala dinner at the Radisson Blu Hotel at Felix Houphouet Boigny International Airport was attended by more than 200 guests. More than 200 guests from the aviation industry including airline customers, travel agencies and freight forwarding customers attended the event which was presided over by guest of honor Mr Gaoussou Toure, Minister of Transport of Cote D’Ivoire. Also attending were Mr Hassan El Houry Group Chief Executive Officer of NAS and Mr Jean Louis Ekra, Chairman of the Board of Nas Ivoire. NAS Kuwait is very pleased to announce the renewal of the ISAGO audit that ended successfully on March 15-16, 2016. The renewal audit has ended with no findings. 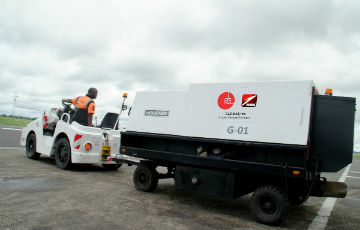 National Aviation Services (NAS) launched its comprehensive range of award winning ground handling services in Abidjan on the 25th of September. 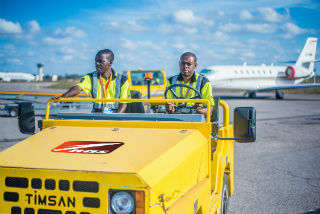 With more than 800 staff and a fleet of 300 pieces of ground support equipment, NAS will provide passenger, ramp and cargo handling services at Felix Houphouet Boigny International Airport Abidjan. NAS was awarded the exclusive 10-year concession to provide ground handling services at the airport by the Ministry of Transport in Cote D'Ivoire following a three-stage public tender in which more than ten different companies were competing for the contract. 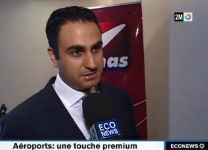 Hassan El Houry, CEO of NAS, said "We are pleased to bring the NAS brand expertise and investment to Cote D'Ivoire and to bring our unique product range to what is one the region's leading airports". 24 August 2015 - Ariana-NAS, a joint venture between National Aviation Services (NAS) and Ariana Afghan Airlines, has launched ground handling services in Herat and Kandahar International Airports in Afghanistan, in a move that it is hoped will facilitate the integration of Afghanistan into the wider global economy. 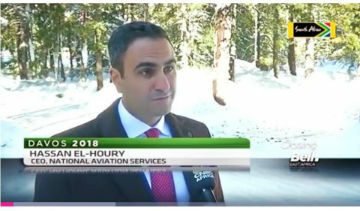 Une convention de délégation de l’assistance en escale de l’aéroport Félix Houphouët Boigny au Groupe Kowétien National Aviation Service (NAS) a été signée le 16 janvier 2015. 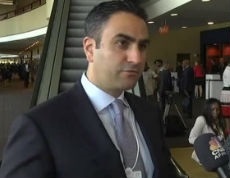 Dans un entretien, le PDG du groupe NAS, Hassan El-Houry dévoile la feuille de route du groupe qu’il dirige, au regard du cahier des charges reçu des autorités ivoiriennes. Il rassure par ailleurs l’Etat de Côte d’Ivoire sur l’engagement de NAS à accompagner les autorités ivoiriennes dans leur volonté de faire d’Abidjan, le hub de l’Afrique de l’Ouest. 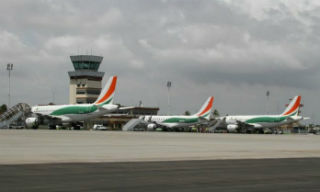 Votre groupe, National Aviation Services, a obtenu le contrat d'assistance en escale à l'aéroport International Felix Houphouët Boigny d'Abidjan pour remplacer la Regie, organisme d'État. Qu’est que cela signifie pour votre groupe et pour la Côte d'Ivoire? Celebi NAS Airport Services India, the joint venture company between NAS and Celebi Holding, has been awarded an exclusive concession by the Mumbai International Airport to provide Bridge Mounted Equipment (BME) services for a period of 22 years. Mumbai's Chhatrapati Shivaji International Airport handles over 35 million passengers annually and is considered one of the largest airports in Asia. As a part of the concession, Celebi NAS will install, operate and maintain state of the art BME to deliver power and conditioned air to aircrafts docked at the domestic terminal and the new Terminal 2. With this concession, Celebi NAS will also have the sole right to collect charges in respect of BME services from all the users. National Logistics Services Egypt, a subsidiary of the NAS Group has been awarded a tender to provide meet and assist and lounge services branded Pearl Assist, at Sharm El-Sheikh International Airport, one of the top 10 busiest airports in Africa. Pearl Assist will offer world-class services to the 7 million passengers travelling through Terminals 1 and 2 of the airport from the moment they arrive to the airport until the moment they depart. Efficiently managed by NAS, Pearl Assist will benefit travelers with expedited visa on arrival approvals, greeting and assistance on arrival and departure, guidance through airport clearance, baggage claim and escorts till their pick up point, ensuring a comfortable and relaxed transfer through the airport.